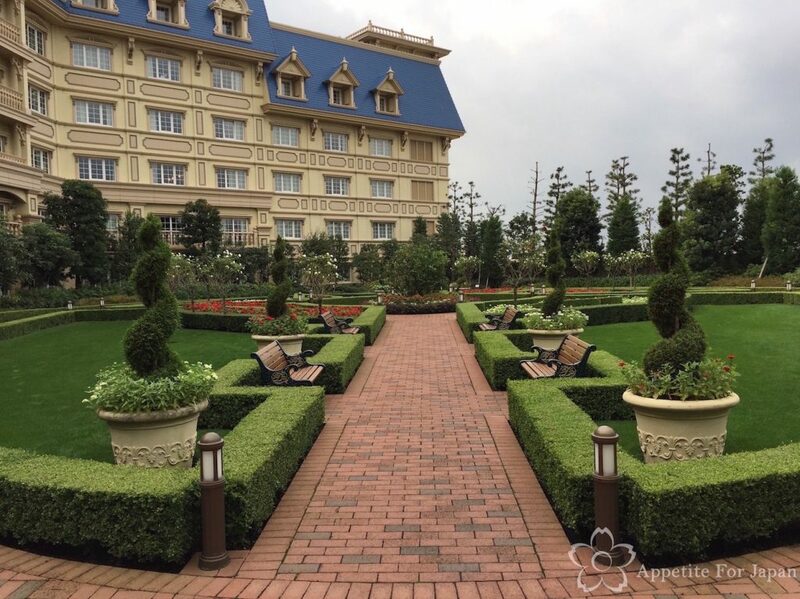 The Tokyo Disneyland Hotel is the closest hotel to the Tokyo Disneyland Park, located about one minute’s walk from the entrance to the theme park. 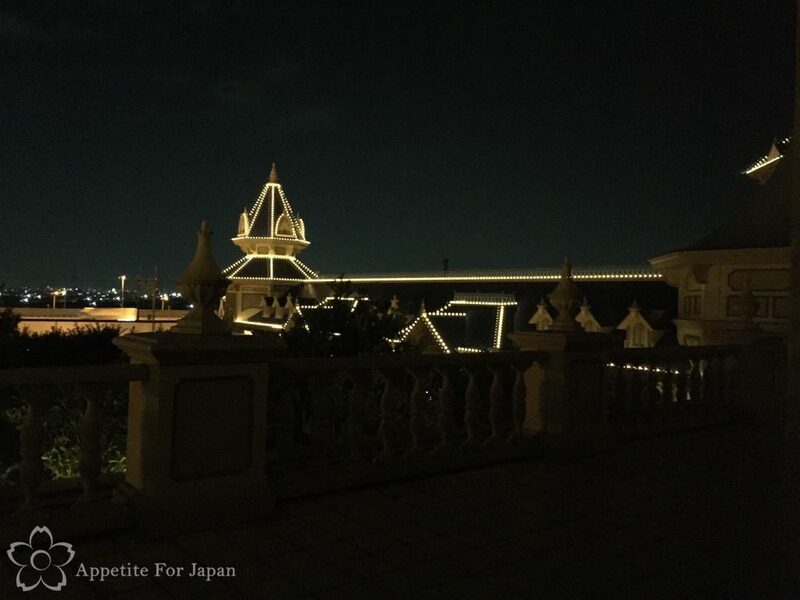 It’s also right by one of the Disney Resort Line monorail stops, which makes it very convenient to get to other places such as Tokyo DisneySea. 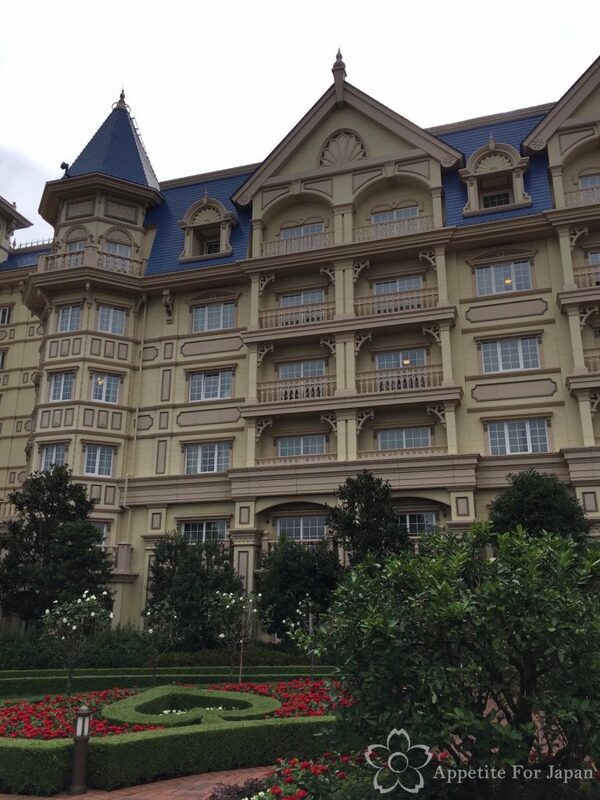 Tokyo Disneyland Hotel is massive, with 706 rooms in total. Oh, and did I mention that it’s a five star hotel that also happens to look like a fairytale castle? 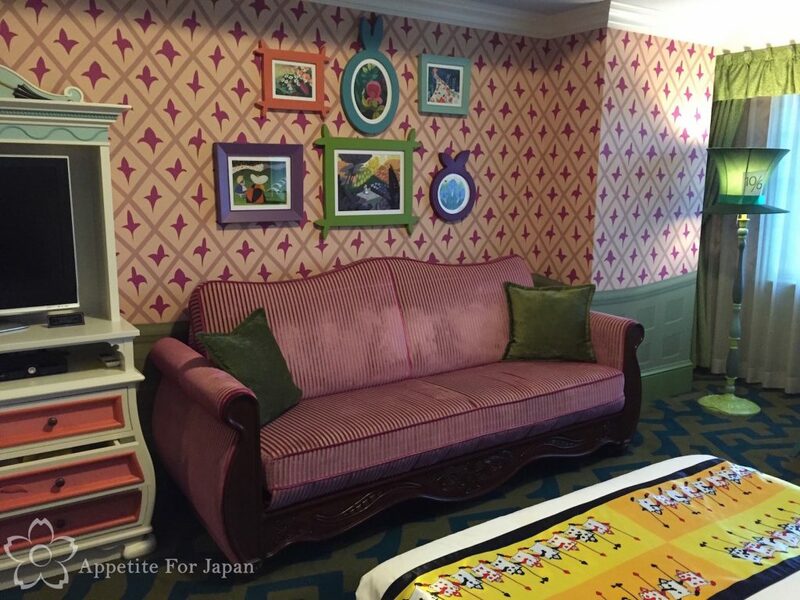 Tokyo Disneyland Hotel’s character rooms opened in 2015. 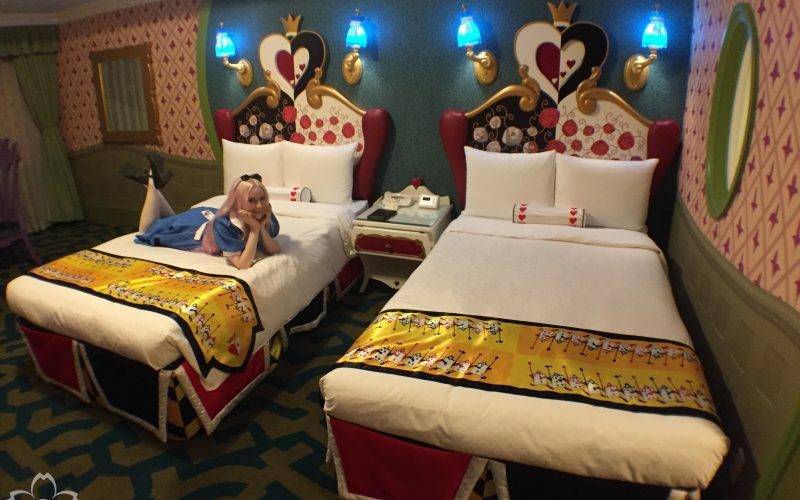 The four types of character rooms are Disney’s Tinker Bell Room, Disney’s Alice in Wonderland Room, Disney’s Beauty and the Beast Room and Disney’s Cinderella Room. 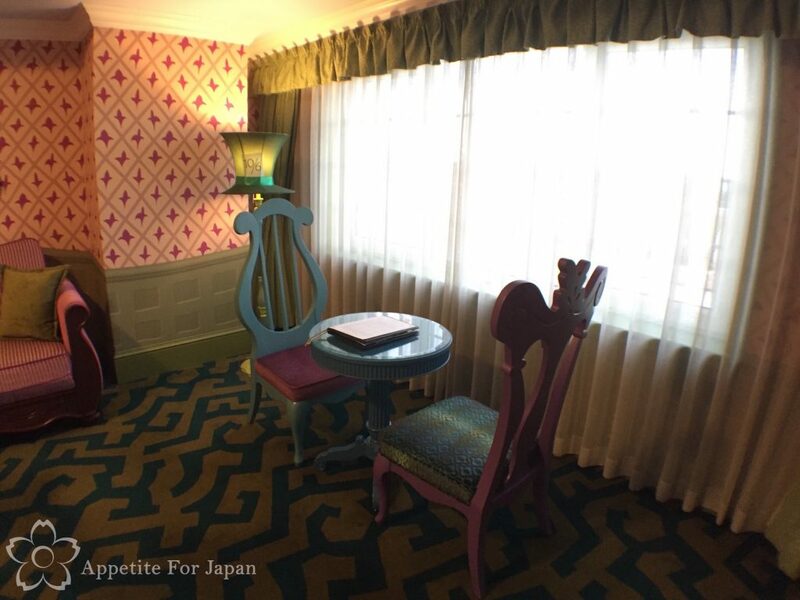 We chose an Alice in Wonderland room, because it looked the coolest. 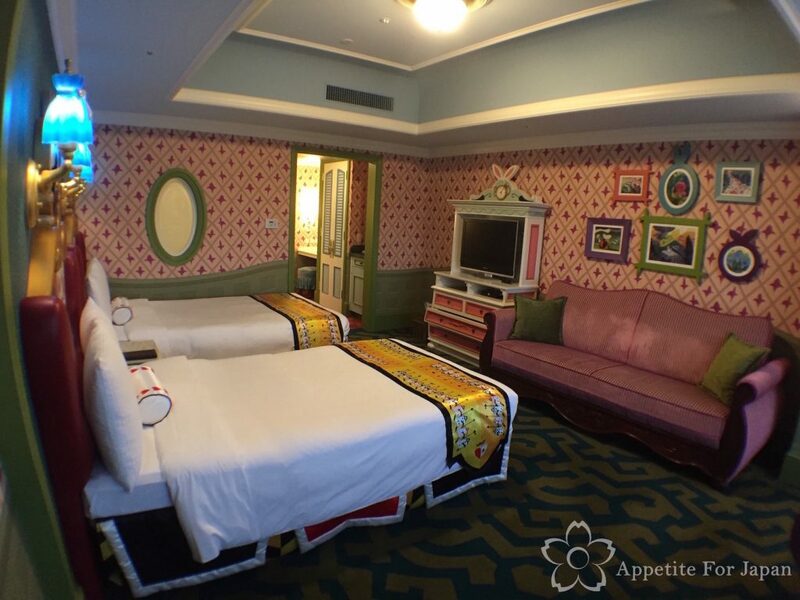 The Alice in Wonderland rooms are very colourful and quirky, and they convey the theme very nicely. 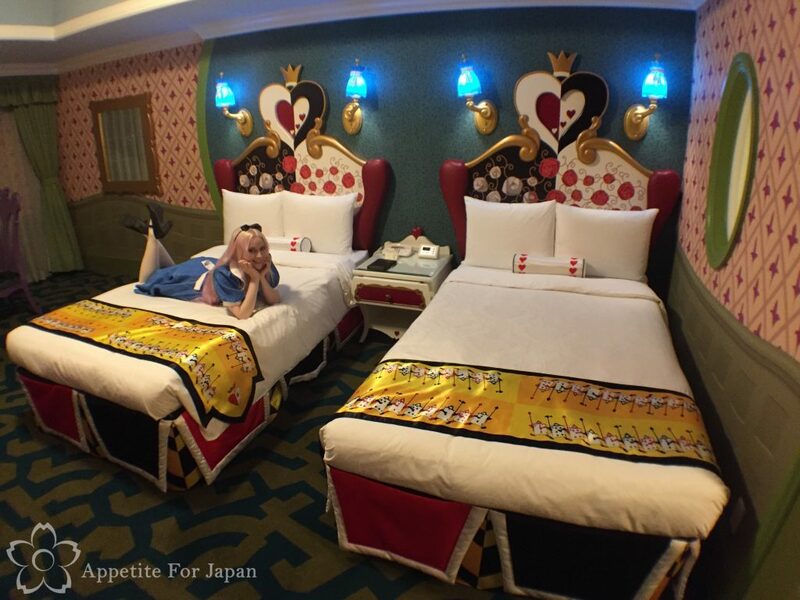 As we stayed in the Alice in Wonderland room for Halloween at Tokyo Disneyland, we (read: I – my partner graciously went along with this) made the whole couple of days Alice in Wonderland themed. 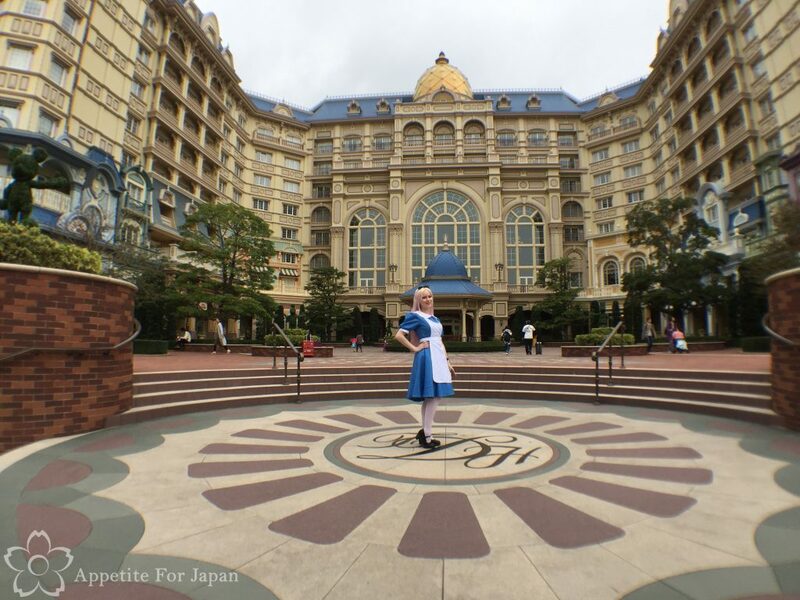 I dressed as Alice for Halloween, we had breakfast at the amazing Queen of Hearts Banquet Hall, rode the tea cup ride, visited Alice’s Garden… and a few days later, we had lunch at another Alice in Wonderland restaurant. 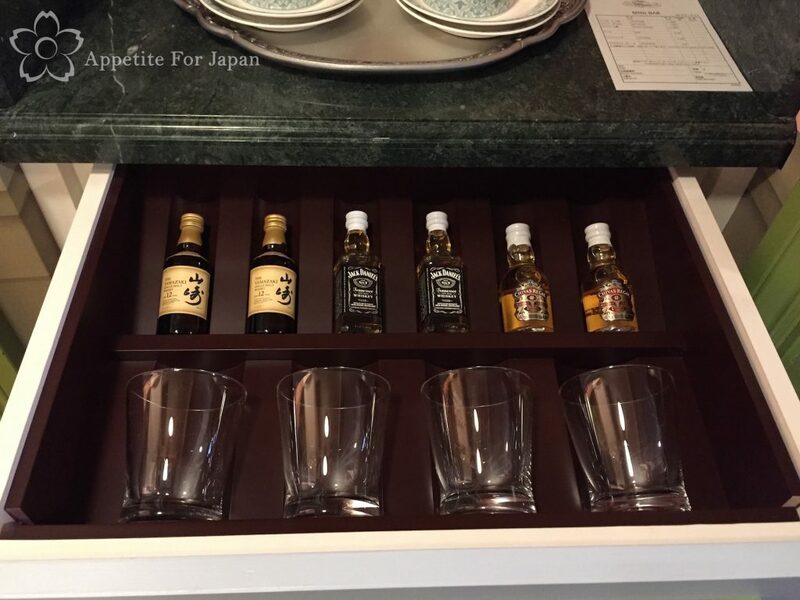 Above: The minibar. See below for the prices. Bottles of water are free – everything else is expensive. 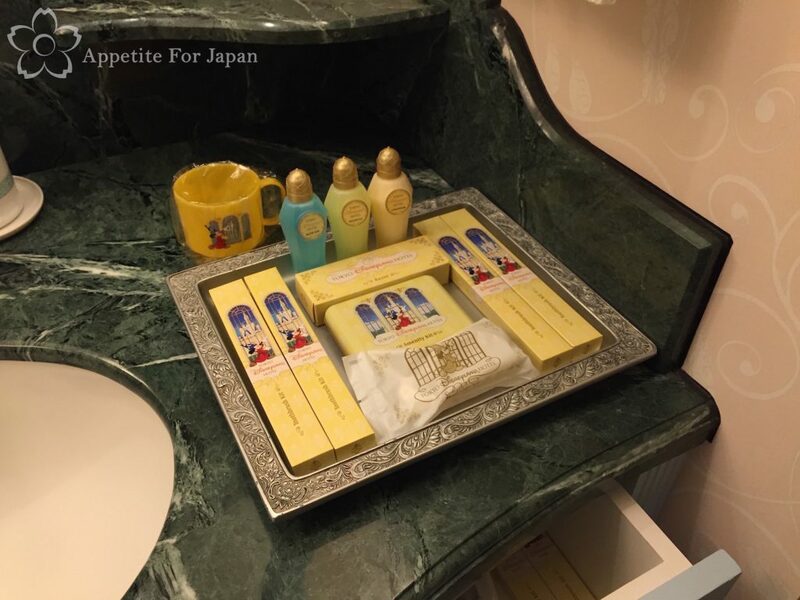 Above: All the Tokyo Disneyland Hotel amenities. 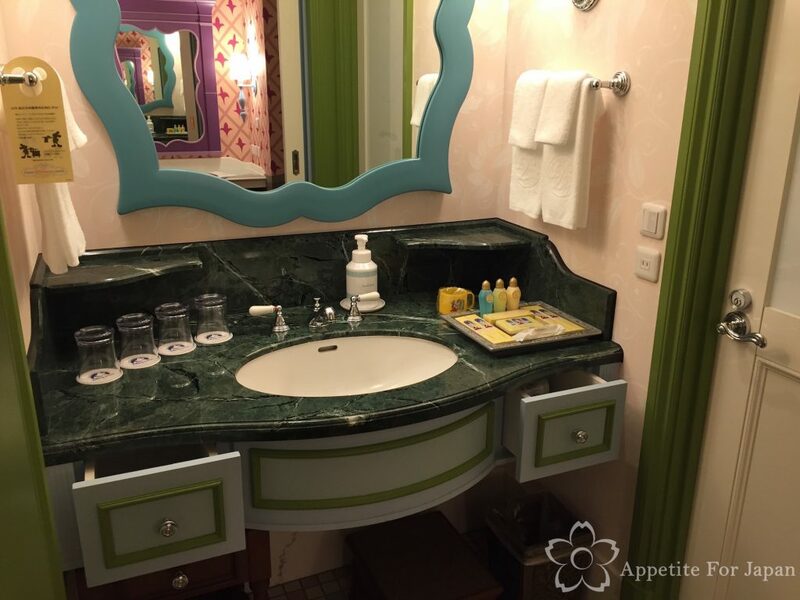 It would be nice if the themed rooms had especially themed amenities. 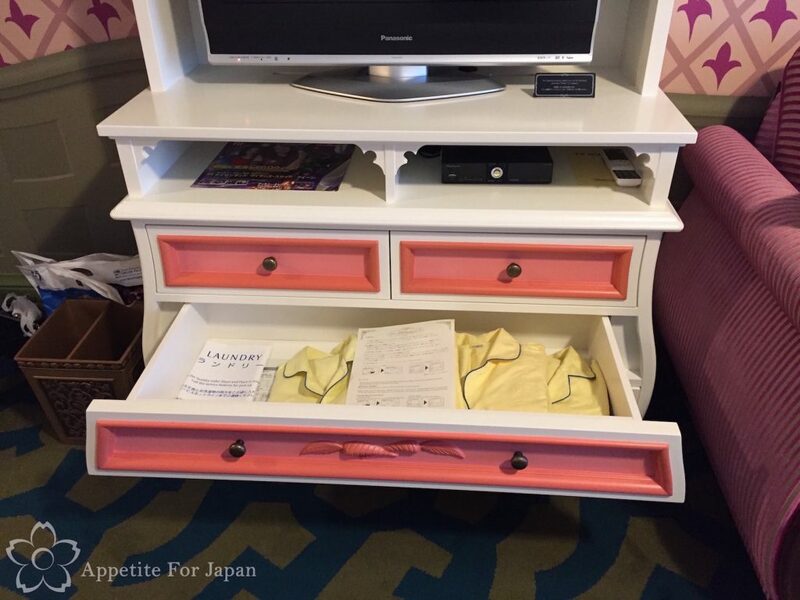 Alas, all rooms have the same amenities. I forgot my toothbrush this time, and had to use one of the hotel ones. They’re really hard and horrible to use. If you forget your toothbrush, I recommend buying one from the convenience store near the hotel lobby. 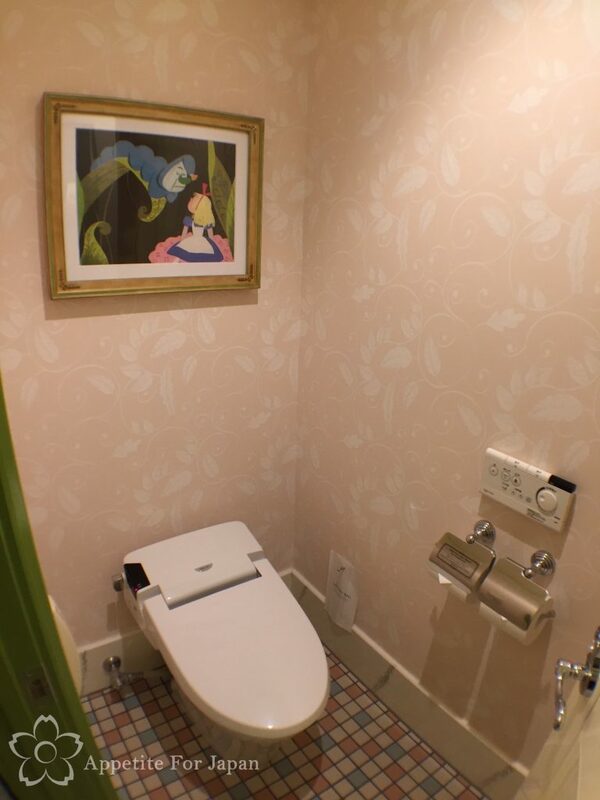 Above: The toilet is a standard Japanese toilet – heated seat, bidet – all the usual bells and whistles. 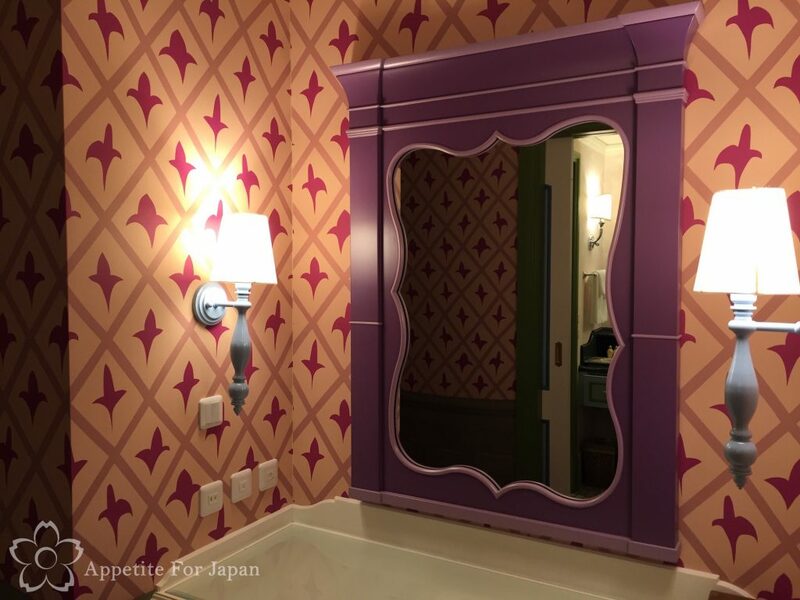 Above: The bathroom doesn’t reflect any specific theme, aside from the frosted window featuring the Cheshire Cat. 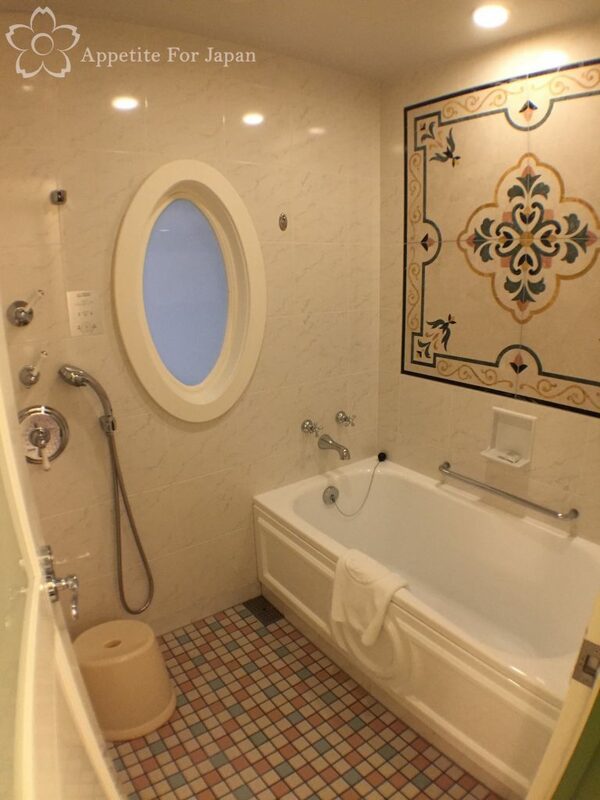 Lack of theme aside, the bathrooms are nice and spacious. 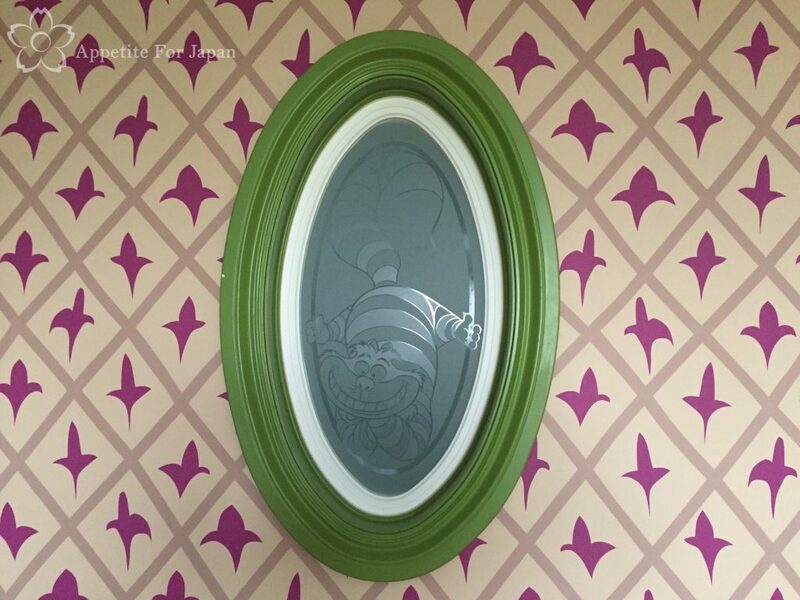 Above: The Cheshire Cat window between the bathroom and the bedroom, as viewed from the bathroom. 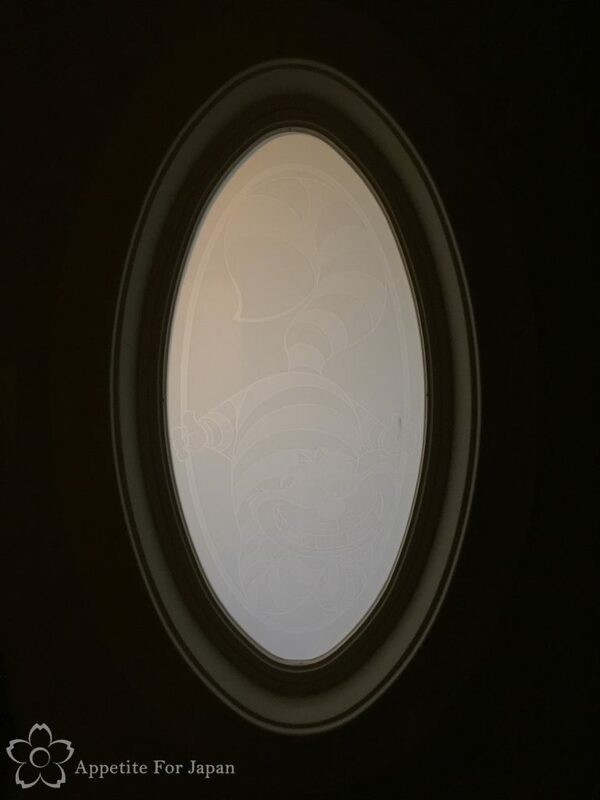 Below: The Cheshire Cat window as viewed from the bedroom. Above: The wardrobe has a light which automatically turns on when you open the door. 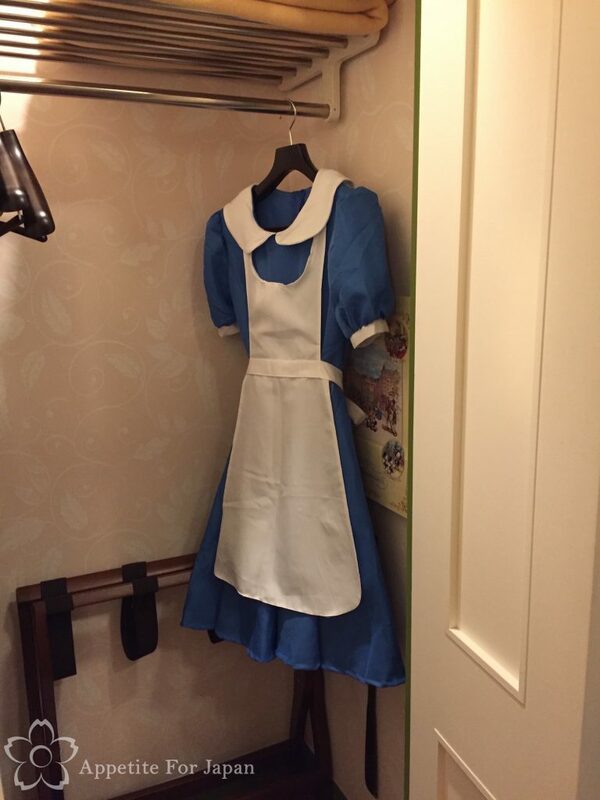 The perfect place to hang my Alice in Wonderland costume for Halloween at Tokyo Disneyland. 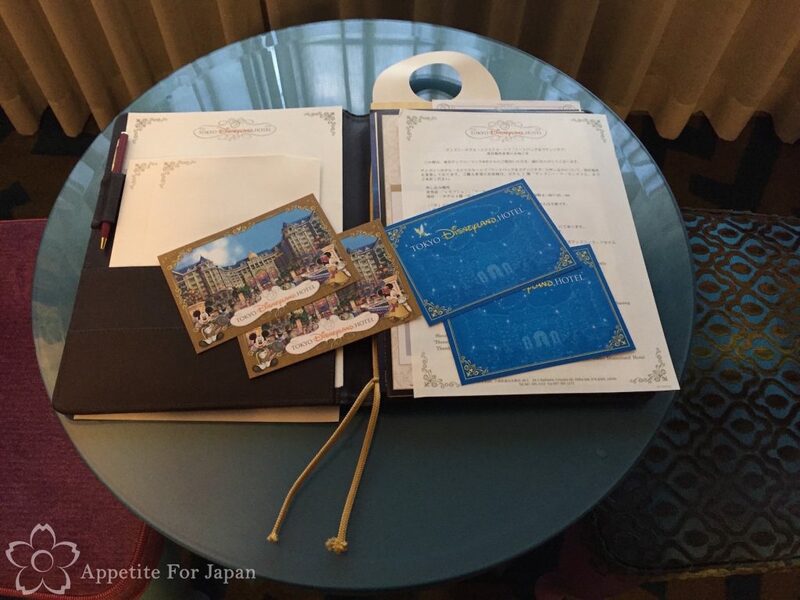 Above: Always go through the folder with the hotel information, as you’ll find some postcards that you can take home. Above: Whilst the windows in the Alice in Wonderland rooms do open, this is as far as they go. It’s enough to hear the traffic from the nearby highway, but not enough to really get much fresh air. There’s a huge terrace in front of some of the rooms on the fifth floor. It’s too bad it can’t be accessed. Above: More of the view from the room. Below: The same view by night. 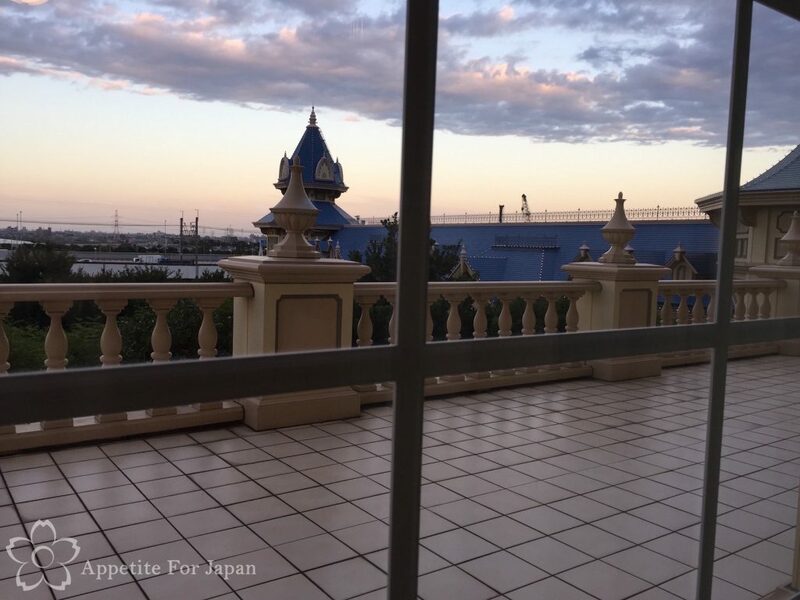 Character rooms are located on the opposite side to Tokyo Disneyland Park. 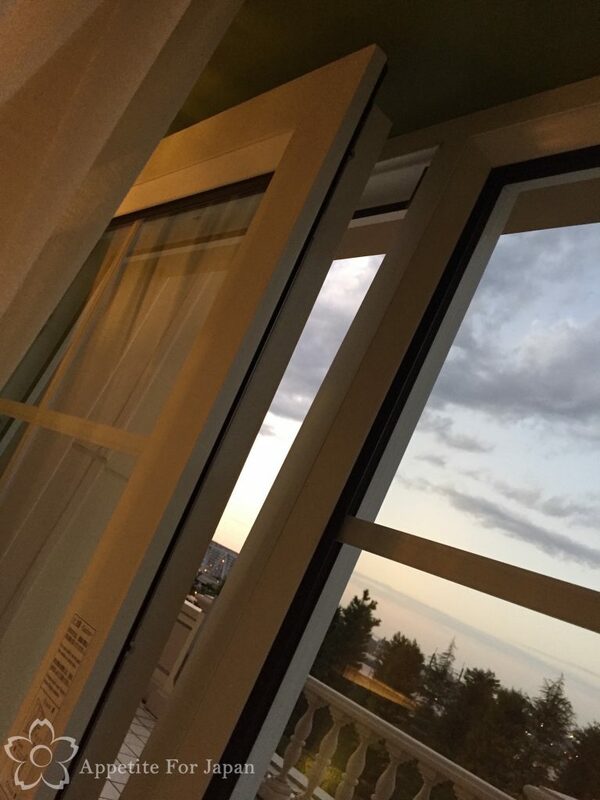 This means that you won’t have a view of the park from your room. 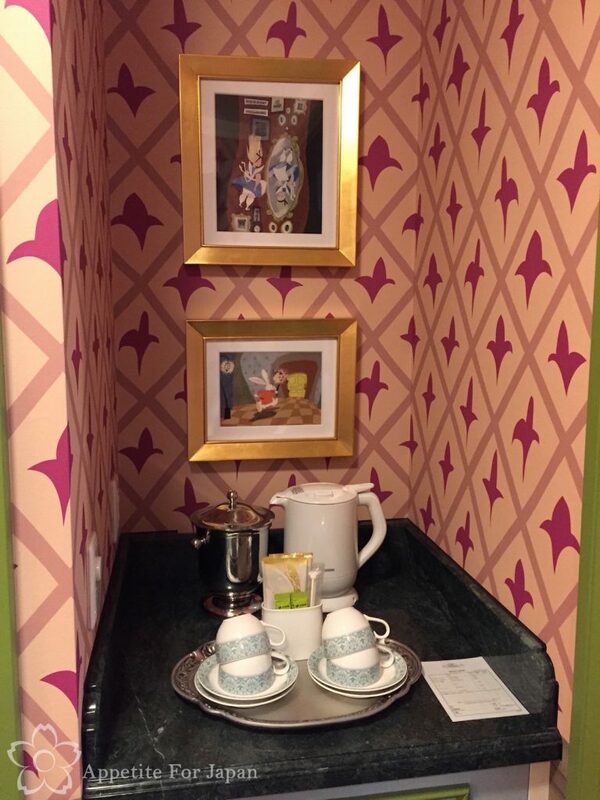 If your room is on one of the higher floors, you might be able to see Alice’s Garden. 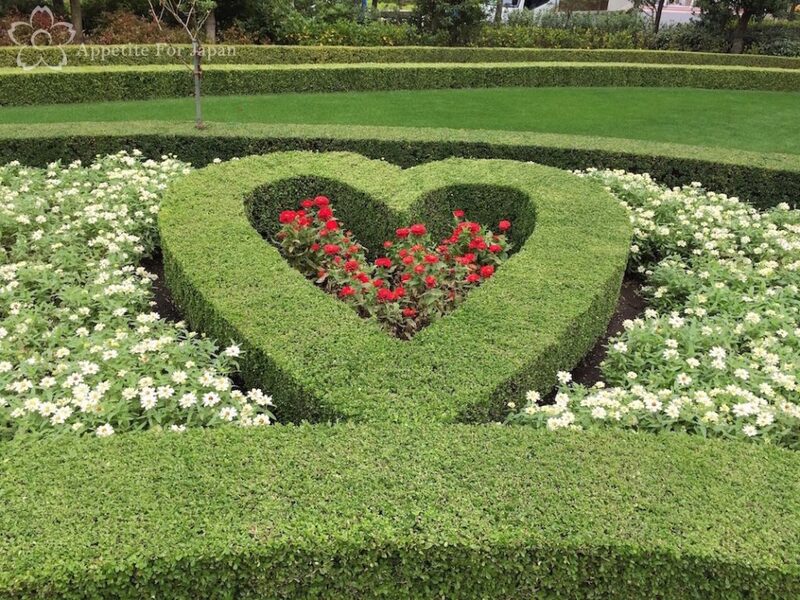 Alice’s Garden is a cute labyrinth inspired rose garden featuring shapes from the cards. Sadly, we were unable to see Alice’s Garden from our fifth floor room. I would guess that the sixth floor and above would have views of Alice’s Garden, depending on the location of the room. 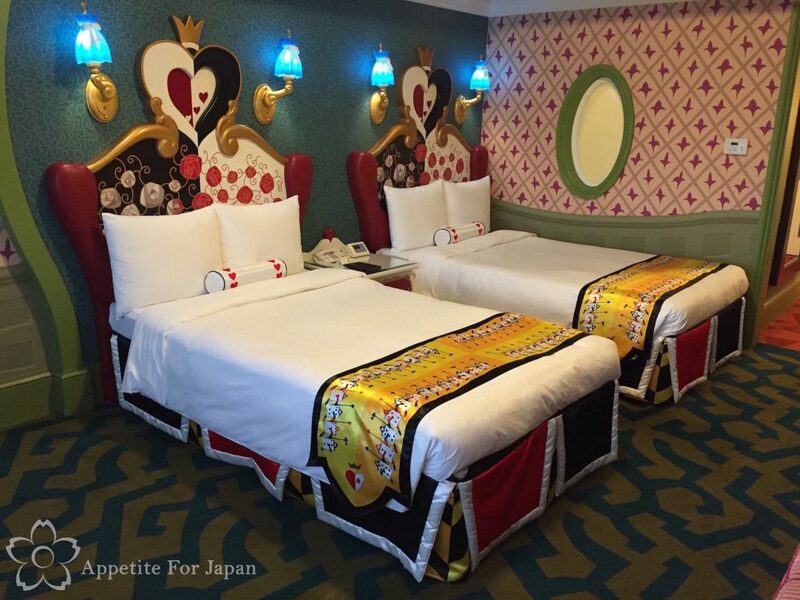 Unfortunately you can’t choose which floor you’re on, and Alice in Wonderland rooms are found on floors 3 to 9. 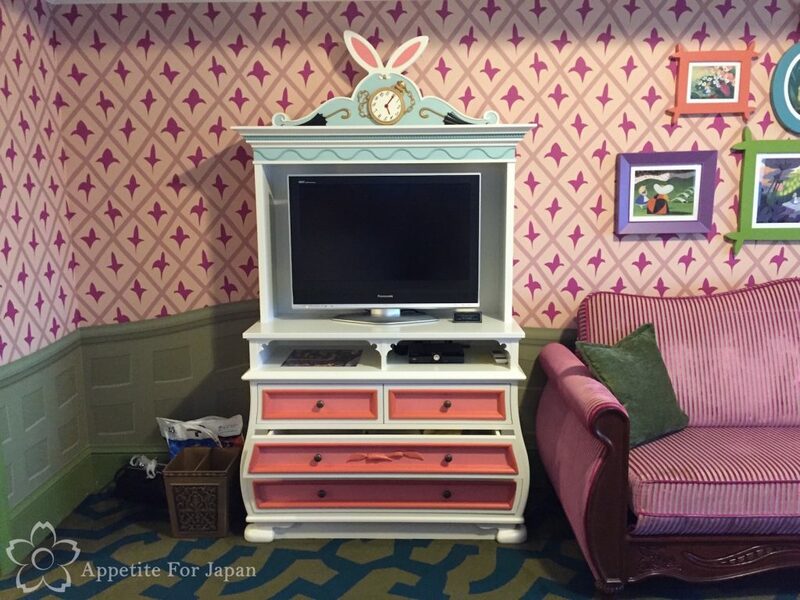 How much does it cost to stay in Tokyo Disneyland Hotel’s Alice in Wonderland Rooms? 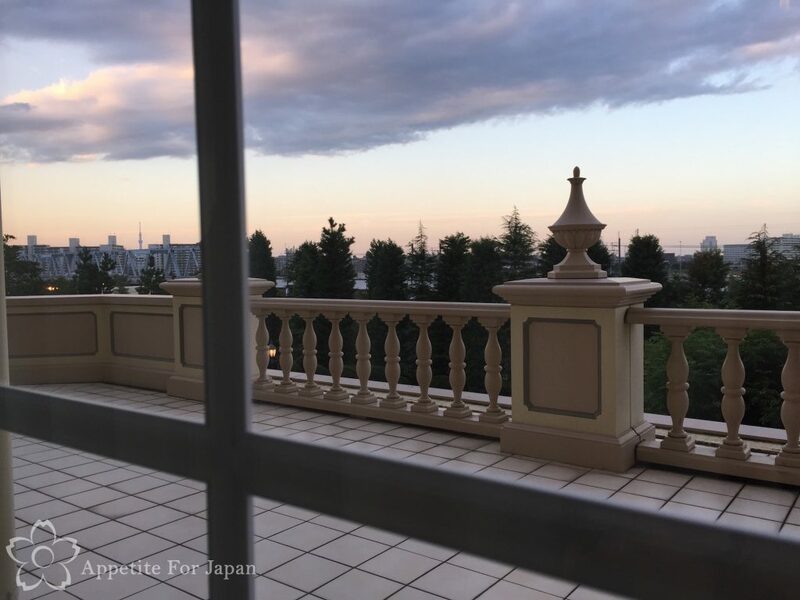 Tokyo Disneyland Hotel is practically a castle, and this is reflected in the prices. 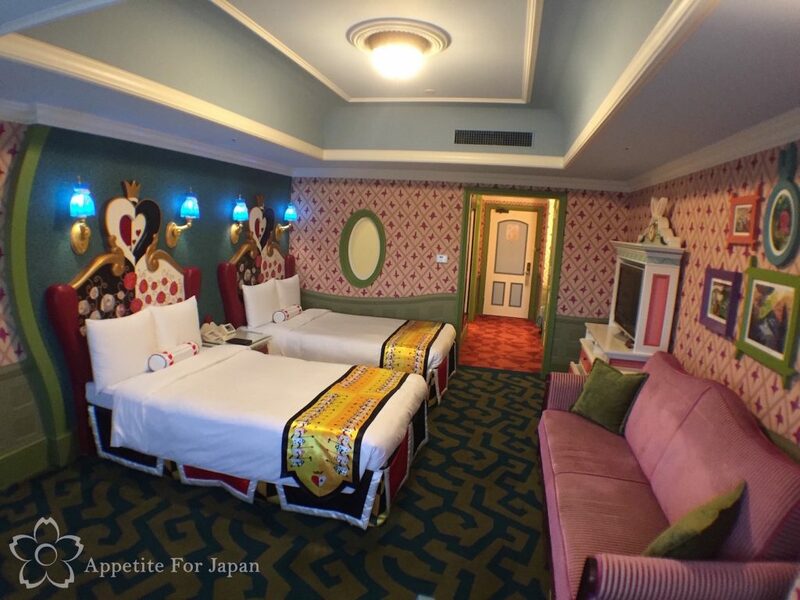 At the time of writing, Disney’s Alice in Wonderland Room costs 48,200 to 80,000 Yen per night, according to the specific room type (e.g. regular room vs ‘alcove’ room), and the time of the year. 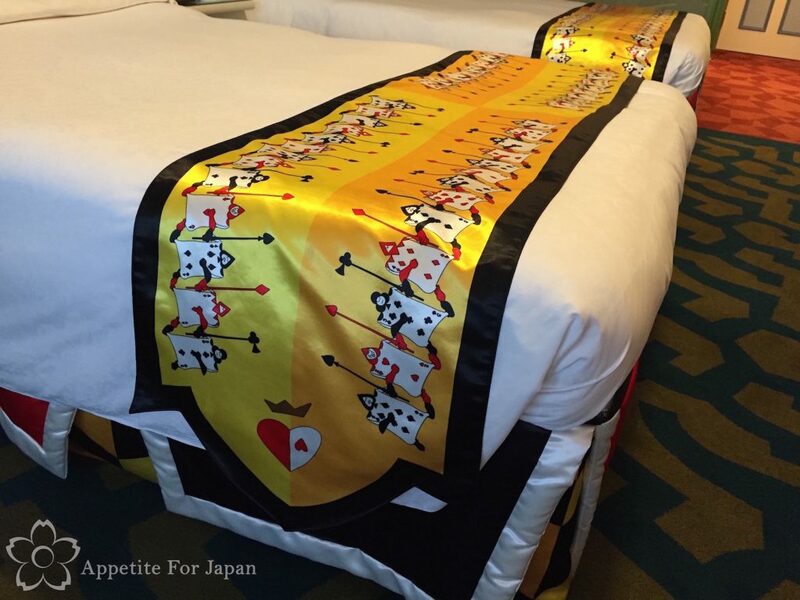 Like most hotels, the day of the week will also influence the price. From 1 April 2017, the pricing structure will change in that room rates will vary according to availability of rooms. 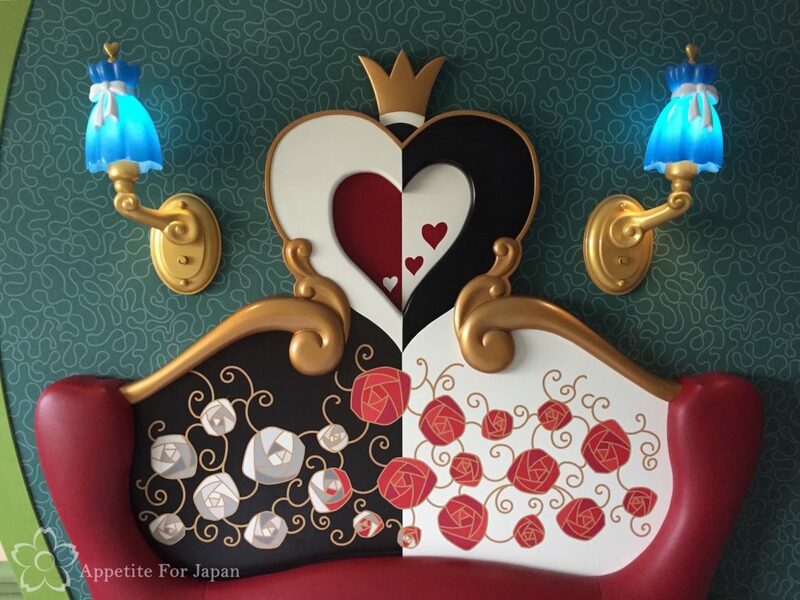 In keeping with the Alice in Wonderland theme, in the next post we’ll visit the Queen of Hearts Banquet Hall at Tokyo Disneyland. What an incredible experience! 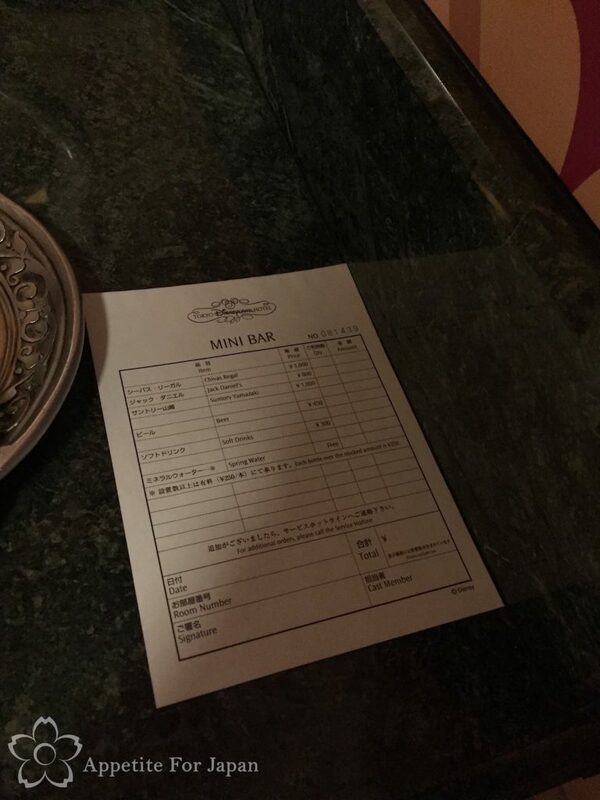 I always find the Japanese hotel and bathroom experience to be awesome compared to the western world. Bidet should be standard on all toilets!